In 2007, Orlando Vaughan (a.k.a. Oby) received worldwide acclaim with his debut release on Duffnote, "Better Than Never" (produced by Richard Earnshaw & Chris 'K-Bana' Tomsett). Receiving club support, it was on heavy rotation on radio playlists and was licensed all over the world. Once again, Vaughan teams up with Earnshaw for this eagerly awaited release. 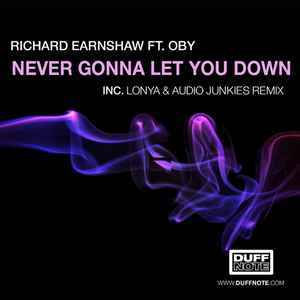 The Main Mix, although leaning more to the electronic side, still maintains the soul and groove that Earnshaw has delivered time and time again. On remix duties, Israeli producers Lonya Koval (Asymmetric Soul) & Audio Junkies deliver a killer dub, stripping things right back and heading for a deeper yet main room friendly vibe.